Ships tomorrow if you order in the next 21 hours 51 minutes. Also known as Indian ginseng, ashwagandha has played a big role in Ayurvedic medicine for well over 3,000 years, and is thought to provide a number of health benefits, both physically and mentally. 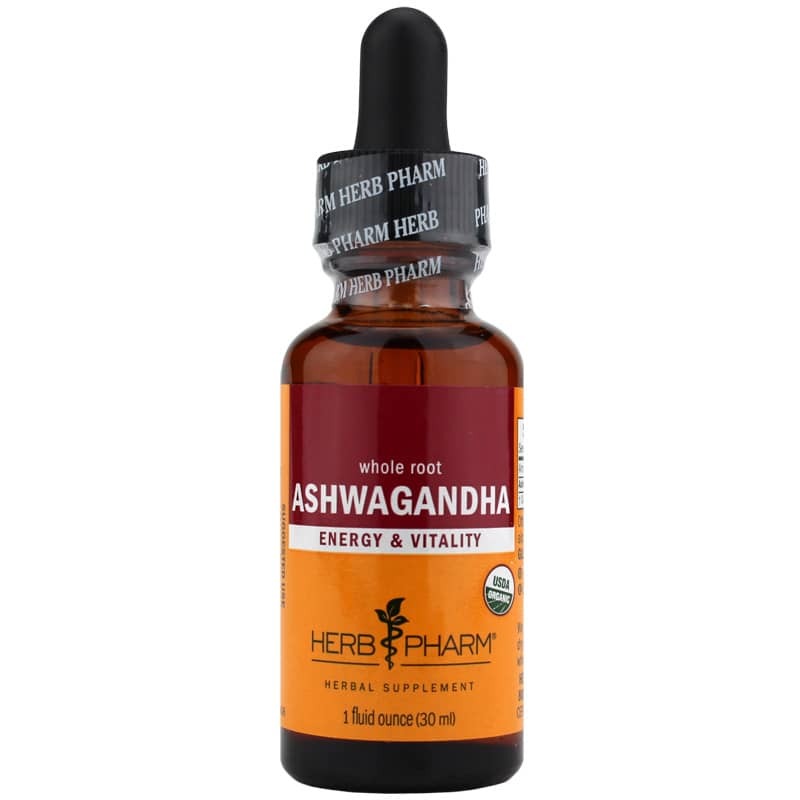 Herb Pharm offers Ashwagandha, a convenient liquid herbal supplement that helps enhance your overall health and wellness. The Withania somnifera roots used in this product are harvested at the peak of readiness, and then dried in the shade to retain full color and aroma before being fully extracted. 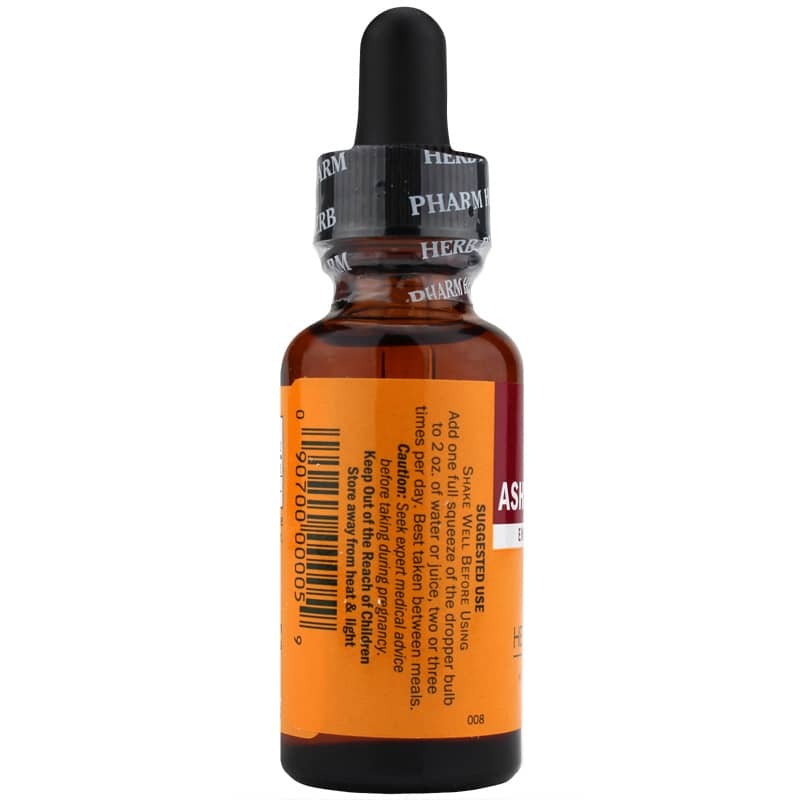 Ashwagandha from Herb Pharm is best used in between meals. Just add one dropperful to two ounces of water or your favorite juice up to three times every day. 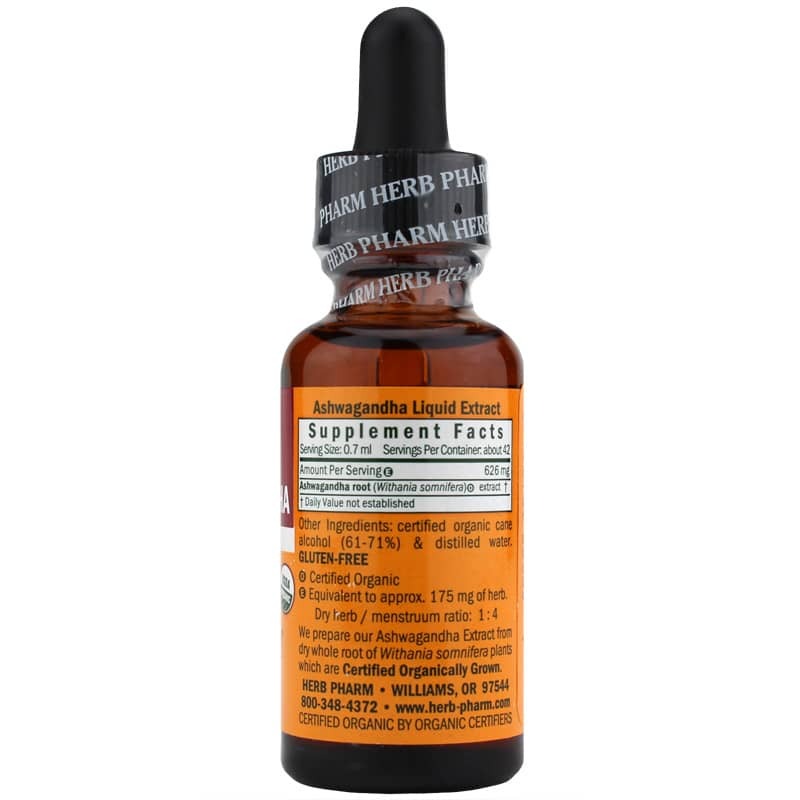 Give it a try today, and keep yourself on the all-natural pathway toward optimal overall health and an increased sense of wellness. Order yours now! Other Ingredients: certified organic cane alcohol (61-71%) and distilled water. Adults: Shake Well Before Using. Add one full squeeze of the dropper bulb to 2 oz. of water or juice, two or three times per day. Best taken between meals. Very fair prices and good customer service.